This is the view from the Northern Acropolis across the main plaza to the Central Acropolis. The foot of Templo I is just visible in the bottom left corner and beyond that is the western wall of the ballcourt. 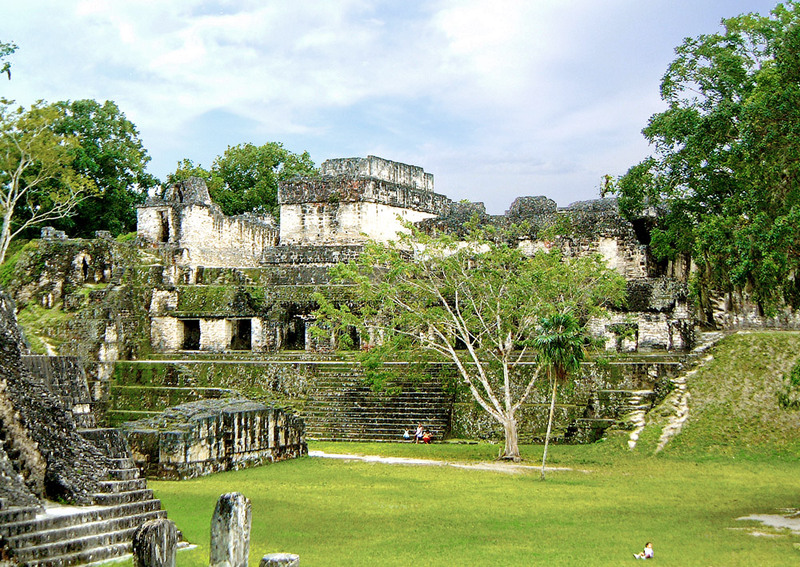 The imposing structure on the far side of the plaza is Structure 62, which lines the northern side of the Central Acropolis.